ONE OF A KIND! There is truly nothing else like this on the market! 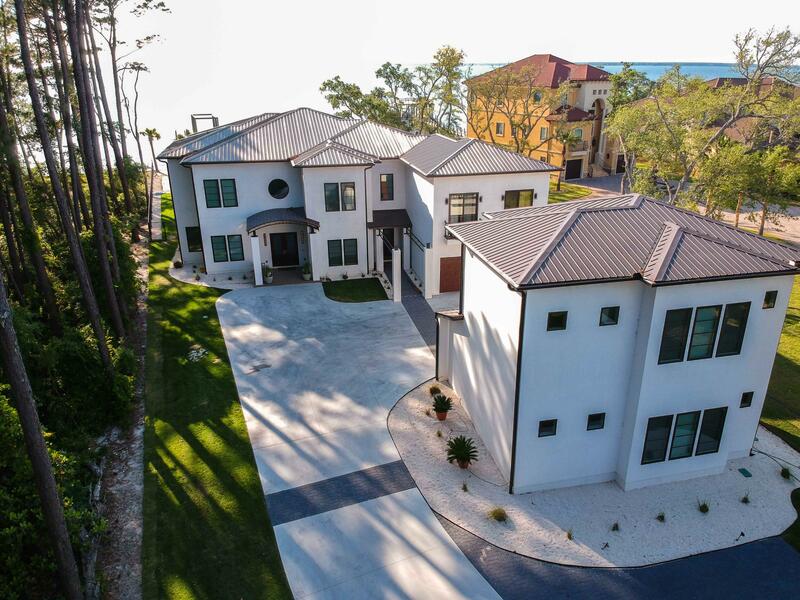 This contemporary and magnificent 6170 sq ft private gated bayfront estate is located only 7 minutes from World-Class dining and shopping at Grand Boulevard. Enjoy boating in the Choctawhatchee Bay, golfing in nearby Sandestin and the whitest beaches in the world on 30A. Upon entering the property, the long palm tree lined driveway and meticulously groomed landscape greet you as you approach this modern contemporary newly built 2017 custom home. Featuring a four-bay garage and a well-appointed 2-bedroom carriage house, this home is situated on a 1 acre lot that has been elevated to 8 feet above sea level. It boasts 120 feet of prime water frontage and the property has its' own private beach!